One of the major contemporary Chinese artists, Simon Ma embodies the mingling of eastern and western influences and defines himself as a crossover artist combining various themes and theme-based interpretations. This mode of expression is similar to that which Bulgari has cultivated throughout its history, combining multiple inspirations and jewellery-making talent. The encounter between the two creative worlds was thus an entirely natural occurrence that has resulted in a series of 13 Octo watches exclusively dedicated to Greater China and each featuring a dial created by Simon Ma. The meeting of two artistic worlds apparently so far apart and yet fundamentally very close in terms of the creative process is conveyed through a subtle and delicate union. On the one hand, rigorous Swiss watchmaking traditions, imbued with the rich Roman heritage of the Jeweller. On the other, an artist acknowledged as heir to the ancient traditions of China, combining past and present in his work. Simon Ma perpetuates the artistic memory of Xu Beihong, one of the best-known Chinese painters whose favourite theme was the horse. This is no coincidence, since Ma actually means horse in Chinese. The birth of this exceptional collaborative endeavour took shape in the summer of 2015. 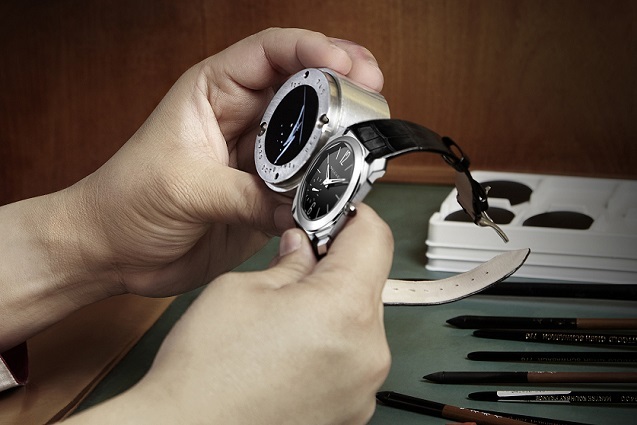 Simon Ma travelled to La Chaux-de-Fonds, where he spent time at the Bulgari dial-making facility. The artist devoted his considerable talents to adorning the 13 dials with a different symbolic theme relating to the equestrian theme. He worked in the most traditional possible manner according to the rules of Chinese calligraphy, using brushes and specific lacquers of various colours. This was done in harmony with the age-old customs of the Middle Empire, where for long centuries the use of ink and calligraphy served to unite the worlds of tradition, poetry, ritual, emotions and intellect. Each of the watches is thus graced with a dial individualised by Simon Ma, who embellished it with a symbolic motif evoking the majestic animal portrayed in a specific colour. 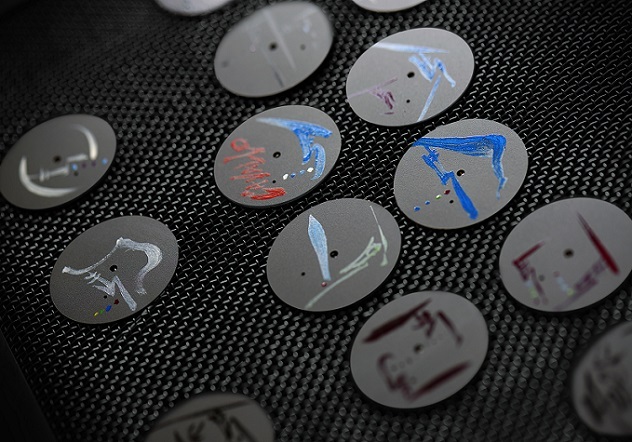 The match between Swiss hand-crafted dial-making and ideograms has given rise to authentic personalised masterpieces. The limited series exclusively intended for Greater China connoisseurs comprises 12 Octo Finissimo Petite Seconde models driven by BVL Calibre 128, a mechanical hand-wound movement developed and produced in-house. The last creation is a one-of-a-kind Octo Finissimo Tourbillon, powered by BVL Calibre 268. The latter mechanical hand-wound movement is the smallest tourbillon ever made and represents an absolute record in this category. Each of the models in this strictly limited series comes in a dedicated presentation box decorated by Simon Ma. The artist’s contribution thus logically explored the theme of this animal. As Simon Ma likes to say: “The horse is loyal and brave, diligent and determined, humble and kind-hearted”.